Where to celebrate the holiday on April 21. Easter Sunday is April 21 and plenty of restaurants and bars are celebrating, whether you’re looking for a family-friendly buffet or an adult Easter egg hunt party. All meals are offered on the holiday unless otherwise noted. 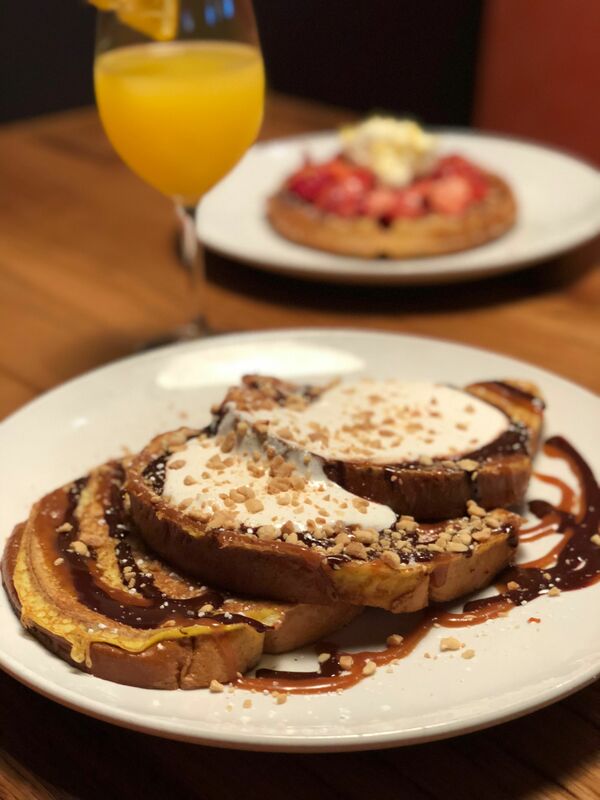 The family-friendly pizza chain celebrates early on Saturday, April 13 with a brunch accompanied by an Easter egg hunt at all of their locations (including the newest in Silver Spring) between 10 and 11:30 AM. Prizes include a complimentary pizza party (for up to six attendees), free passes to a June pizza-making class, and more. Shaw’s elegant restaurant is celebrating the holiday with a collection of three different Easter baskets with pastries and confections from chef Eric Ziebold and pastry chef Anne Specker. The deluxe basket ($125) includes items like truffles, scones, lobster-shrimp quiche for six, and more. Call the restaurant for orders, which must be placed by noon on Tuesday, April 16 for pick up at Kinship on Saturday, April 20 from 11 AM until 4 PM. Chef Ryan Ratino is opening his modern American restaurant early on Easter and offering a three-course brunch (11:30 AM to 3 PM and again at dinner) for $60, or $30 for kids between six and 12. The family-style menu includes dishes like Easter egg radishes with schmaltz butter and crispy chicken skins, spring greens with burrata, Rohan duck, and more. 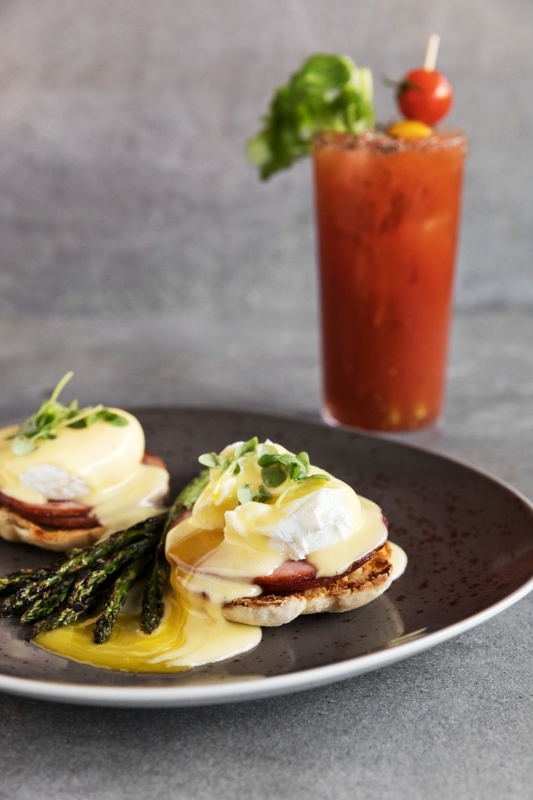 The Line hotel’s star Mid-Atlantic restaurant is rolling out an Easter brunch feast. Sample chef Spike Gjerde’s dishes like savory sorghum-glazed ham, wood-roasted mushrooms, and hot cross buns plus a variety of Easter egg-inspired cocktails. The meal is $95 per person. Cadbury crème French toast. Photograph courtesy of City Tap. Both City Tap’s Dupont and Penn Quarter locations are hosting Easter brunch between 11 AM and 3 PM. For $20 you can get a bottle of bubbly with juices to craft your own mimosas and try their special Cadbury Creme Egg French toast. The Dupont branch will also host a live jazz band. This one comes with a surprise: If you visit the Watergate’s dining room on Easter you’ll receive a Golden Egg with a present inside. It could be a free dessert or a stay at the hotel. Meanwhile, you can enjoy their Shenandoah lamb and cavatelli with zucchini, and wash it down with their bottomless mimosas for $95 ($39 for kids under 12). Chef Sherry Yard offers an Easter brunch buffet with a build-your-own-omelet bar, stuffed French toast, poached shrimp and oysters, strawberry shortcake push pops and much more for $48 per person ($12 for kids under 12). Eggs Benedict with Canadian Bacon. Photograph Courtesy of City Perch. For $42 (and $12 for kids under 12), chef Jonathan Dearden is cooking up a lavish family buffet that includes a pastry spread, avocado toast bar, egg and omelet station, raw bar, ribeye station and dessert display. You’ll even get a complimentary mimosa for the occasion. This historic hotel is hosting a big brunch: their buffet boasts over 115 items for diners to enjoy with a price tag to match ($135 per person). Try made-to-order omelettes, risotto, prime rib, or pancakes and waffles with 35 toppings to choose from. And, of course, the mimosas, bellinis, and bloody Marys are bottomless. For $40 a head chef Tim Ma is offering brunch favorites on a curated menu. Choose an entrée and a side from dishes like a three-egg omelet or a fried chicken sandwich with ramp ranch. Pastry chef David Collier is putting together a dessert display including caramel corn, rabbit macarons, and chocolate crème pie. If you have some pep in your step head up to the rooftop bar Wild Days for an Easter Party Mashup with a DJ set from 2 to 8 PM sponsored by El Silencio mezcal. An adult egg hunt will reveal free vouchers and treats.